Even when I’m fully in the low-carb eating groove, there are certain simple pleasures I still crave. Crunchy tacos, a fully loaded sandwich or a slice of cheesy, saucy, pepperoni pizza falls into that category. The recipe below satisfies one of these cravings. Too bad you can’t get it delivered. Zucchini makes a wonderful base for all of the traditional pizza toppings because on its own it has a mild flavor, but thanks to its shape it can easily made into a boat that will hold in all that goodness. You can even eat these “pizzas” with your hands, just like you would a traditional slice. Add whatever pizza toppings you crave the most. In a small bowl, stir together the garlic, olive oil and Italian seasoning. 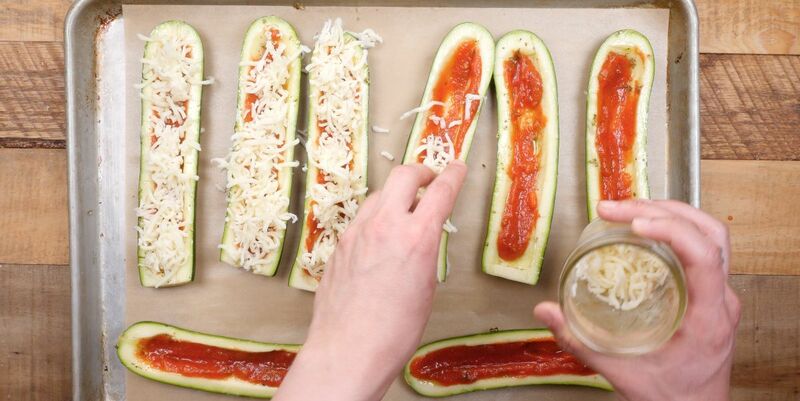 Arrange the zucchini boats, cut side up, on the baking sheet. Brush them all over with the oil mixture. Spoon the sauce into the zucchini and top with the cheese. Season to taste with salt and pepper. 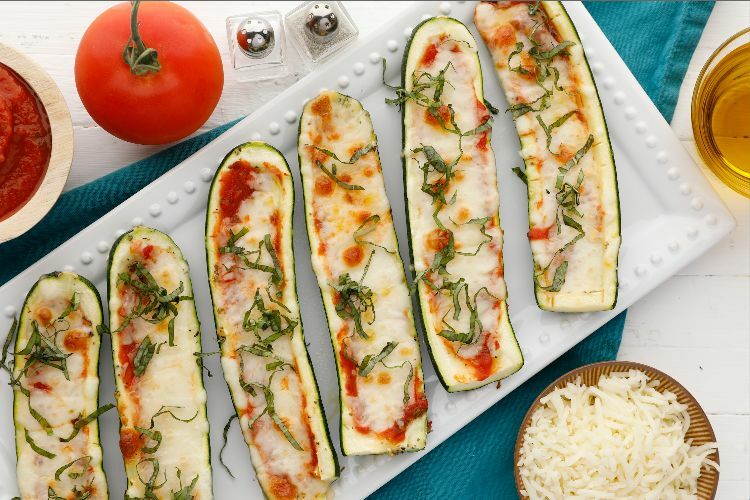 Bake for about 25 minutes, until the zucchini is tender and the cheese is melted, lightly browned and bubbling.